Based in the heart of Oxfordshire, CAD Interiors & Joinery design and produce world class joinery for high-end properties across the South of England. Our team of experienced joiners are committed to delivering the highest levels of service & quality. We use the latest in design & production technology and will manufacture your requirements with pinpoint accuracy. If it's made of wood, we can make it for you. We have over four decades of experience in designing, manufacturing & installing high-end, bespoke joinery, building an impressive portfolio of clients in that time. Browse our work here or visit our contact page to arrange your quote. We offer a wide range of bespoke joinery services, all completed with excellent craftsmanship and quality materials. Find your required joinery service below. 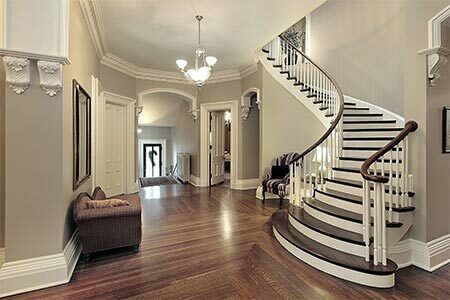 The specialists in wooden staircases from grand, feature staircases made from solid Oak through to custom staircase designs for period properties. 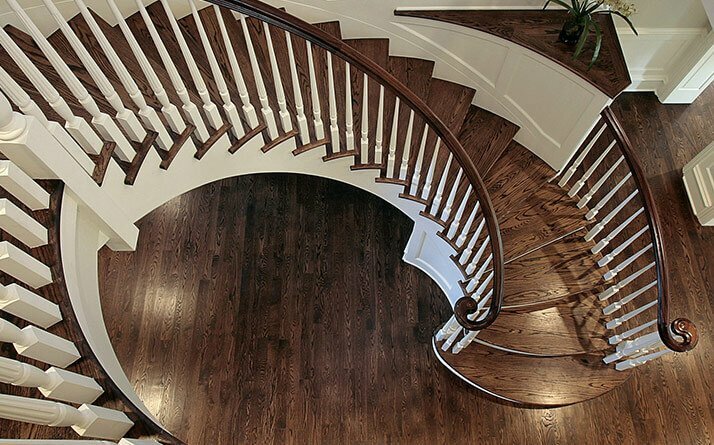 CAD Interiors & Joinery can design, manufacture & install wooden staircases to your exact specification, whether it’s a one-off residential install or a large commercial project, we have the software, mahinery & craftsmanship in-house to design & deliver it for you accurately, every time. 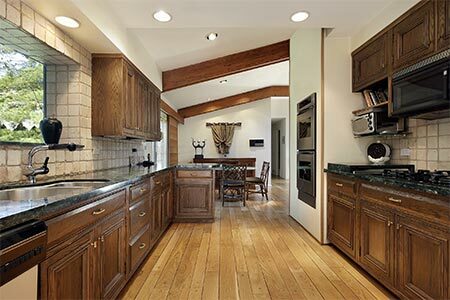 We’ve been designing & installing bespoke, solid wood kitchens throughout the South of England since we started out over a decade ago and they are still going strong today. As a bespoke joinery company we are meticulous in our planning and manufacture kitchens with quality & durability in mind. Our large workshop in Witney, Oxfordshire is ready & equipped to facilitate your project whether that’s a large commercial project or a one-of-a-kind design, contact us to arrange your quote. 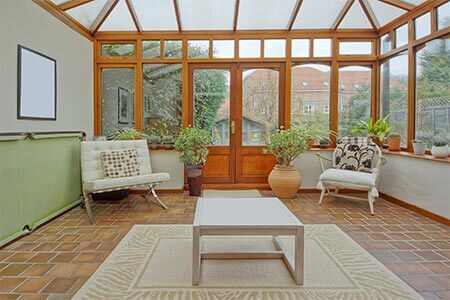 We design & manufacture a range of windows such as period style, traditional sash windows through to modern casements in solid & fortified wood, including solid woods encased in aluminium for the very best of thermal efficiency and aesthetic appeal. All your windows can be hand-finished in any colour you choose, our workshop in the heart of Oxfordshire is equipped to handle any size of project and our team of skilled joiners can finish your windows to your exact specifications with impressive accuracy. We're proud to say a large part of our growth over the years is because of recommendation & repeat business from happy clients, here's what they say.